I’M OBSESSED WITH BEING THE BEST COSMETIC DENTIST IN DECATUR, GA. I love combining the elements of art and science, allowing me to become the thorough and meticulous dentist I am today. “I’VE ALWAYS LOVED HELPING PEOPLE FEEL BETTER. – DR. HAIDER | DENTIST IN DECATUR, GA.
Dr. Haider’s philosophy revolves around patients getting the best care and treatment possible. He promotes excellence in customer service and quality dental care through patient education. Dr. Haider believes in educating his patients to help prevent oral disease and maintain oral health. He shows patients what they currently have in their mouth, teaches them how to keep their fillings, crowns and other dental work clean and uses restorations and products that render a healthy foundation. Dr. Haider performs: Implant Dentistry (surgery and restorations), Composite Veneers, Cosmetic Dentistry, Overdentures, Tooth-colored fillings, Zoom Whitening, Porcelain veneers and crowns, Dentures, Periodontal surgery, Gum recontouring, Implant restorations, Invisalign, Bite-Guards, Extractions, Crown Lengthening, Root Canals and other General and Cosmetic Dentistry procedures. Once patients meet him, trust is earned by his process of education, diagnosis, and formulation of a treatment plan that the patient may implement at a comfortable pace. Dr. Haider has been practicing Dentistry in the Atlanta area Since 1998. He obtained his Undergraduate degree in Chemistry and Medical Technology. He began his Dental Career in Johns Creek, after graduating from University of Tennessee with a Doctorate of Dental Surgery (DDS), where he practiced until 2010. He then opened a private practice in Decatur, which he currently owns and operates. 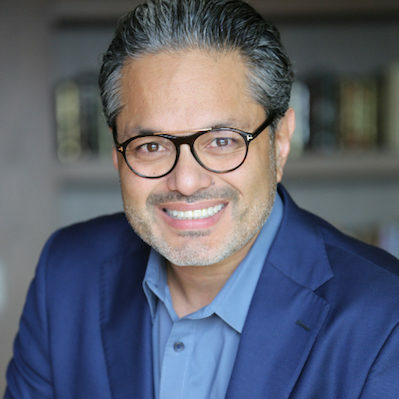 He is a certified Invisalign Provider and a member of the American Dental Association (ADA), Academy of General Dentistry, American Academy of Implant Dentistry (AAID), American Academy of Cosmetic Dentistry (AACD), International Congress of Oral Implantologists. He believes in educating his patients to help prevent oral disease, maintain oral health and helps patients maintain their natural teeth as long as possible. He shows patients what they currently have in their mouth, teaches them how to keep their fillings and crowns clean and uses fillings and crowns that render a healthy foundation (gums and bone around teeth). He stresses the importance of rendering and maintaining a healthy foundation, without which nothing done to teeth will last. Dr. Haider performs: Tooth-Colored Fillings, Teeth Whitening, All-Porcelain Crowns, Complete Dentures, Partial Dentures, Implant Restorations, Porcelain Veneers, Smile-Enhancement Procedures, Invisalign and Other Orthodontic Procedures, Bite-Guards, Extractions, Crown Lengthening, Root Canals (Front Teeth Mainly) and Other General and Cosmetic Dentistry Procedures. Dr. Haider is always available for his patients. Once patients meet him, trust is earned by his process of education, diagnosis, formulation of a treatment plan that the patient may implement at a comfortable pace, and treatment. Because Dr. Haider knows that implementation of Dental Procedures is correlated with time and money, he customizes a plan based on each individual’s situation and therefore, his Dentistry is for everyone. Dr. Haider offers an amazing Periodontal and Maintenance System, along with a Teeth Whitening System that allows most patients to maintain healthy gums and a whitened smile for a lifetime. Dr. Haider has been practicing Dentistry in the Atlanta area since 1998. He obtained his Undergraduate degree in Chemistry and Medical Technology. He began his Dental Career in Johns Creek, after graduating from University of Tennessee with a Doctorate of Dental Surgery (DDS), where he practiced until 2010. He is a certified Invisalign provider and also a member of the American Academy of Cosmetic Dentistry and International Congress of Oral Implantologists.